This month’s edition of Brooklyn Took It features one of our closest homies and all around funky DJs, the super talented Mr. Tipton. We’ve known Daniel for a loooooooong time and have been fortunate enough to see him grow and expand in this culture and community. You’ve probably seen him at other events at Friends and Lovers, or have run into him at NYC’s own Turntable Lab when you’re gettin’ that fix for that vinyl addiction. If you have, you know this brother comes with the funk and vibes out to the fullest. 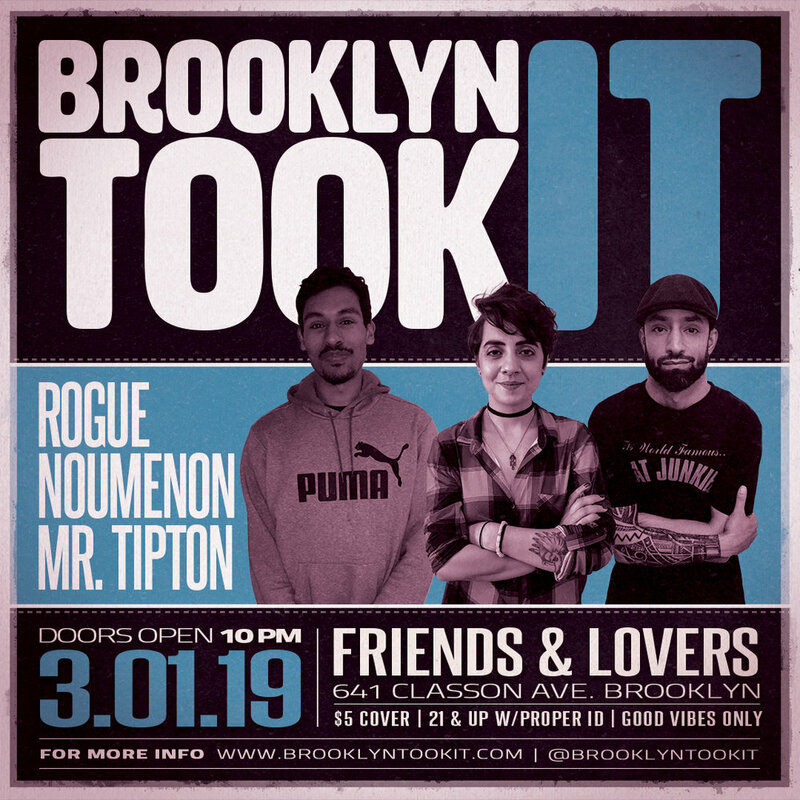 Come join us on Friday, March 1st at 10pm for our next installment of Brooklyn Took It with resident DJs Rogue and Noumenon, and our very special guest, Mr. Tipton.